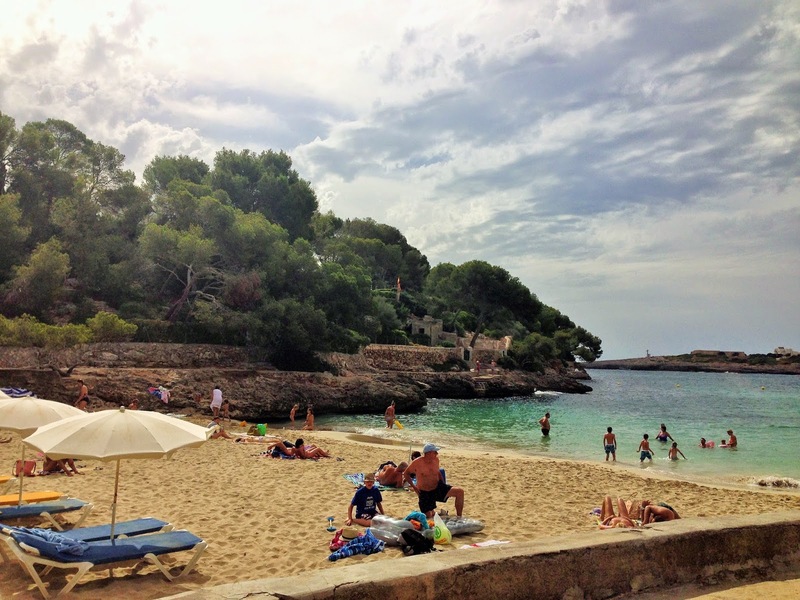 Today I want to share with you one of my favourite places in the world - Cala d'Or in Mallorca. If you follow me on Instagram, you might already know that I spent a week there recently. My parents, aunty and uncle have rented a villa there every summer for years, and my sister and I still try to join them whenever we can, as the place holds so many happy childhood memories for us. 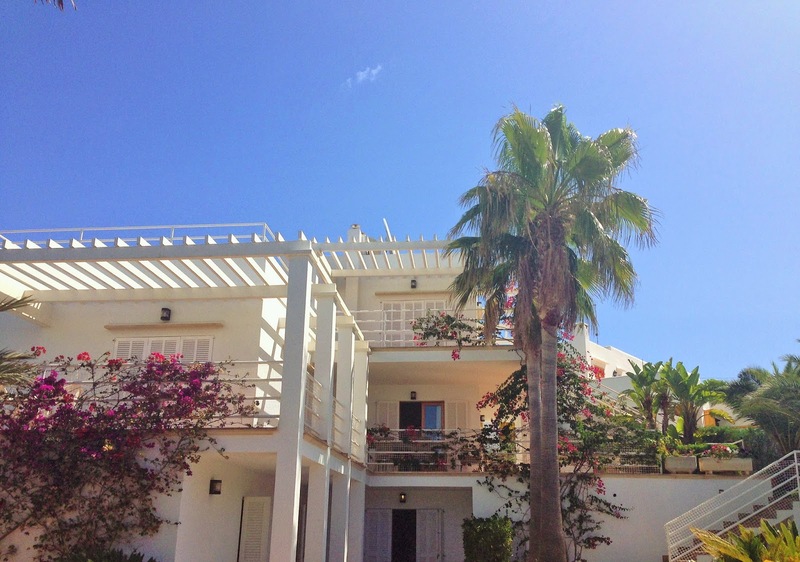 For the last few years, our temporary island home of choice has been Villa S'Hortet. It's a really lovely place to stay, has a pool and a barbecue, and plenty of room to house the various members of the family as they come and go. 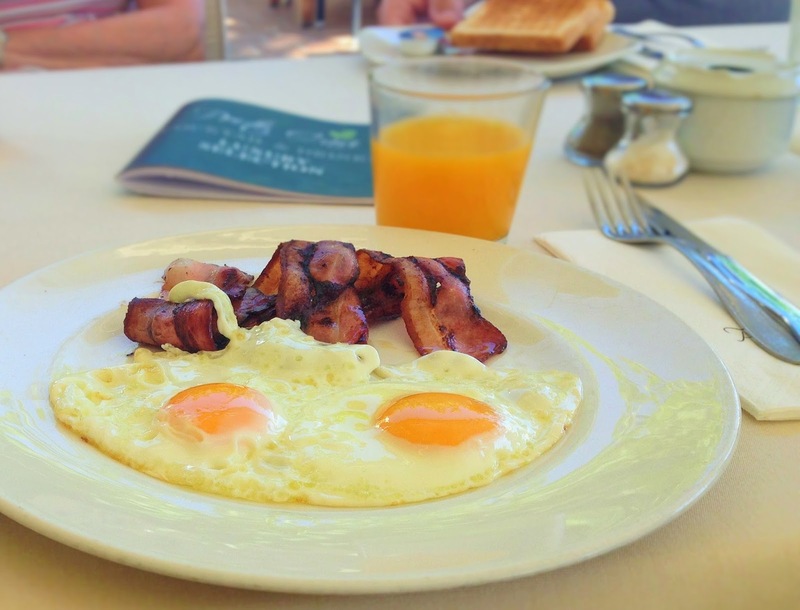 Life in Cala d'Or on one of our family holidays is not exactly what you might call action-packed, and that's just how we like it. Mornings offer a choice of activities. Turn left out of the villa gates, and a very short walk will take you into the little town. 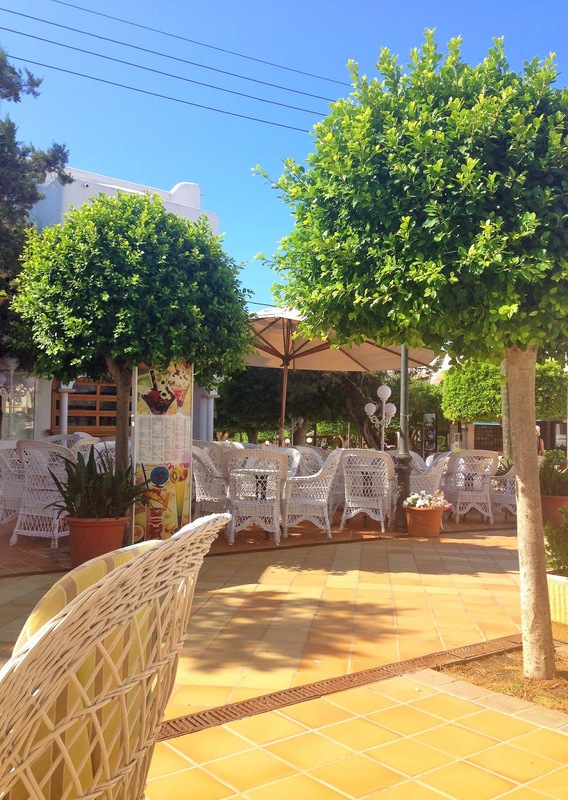 Here you can find a few interesting shops to browse around, including a bakery selling local cakes and pastries, and plenty of cafes and restaurants. 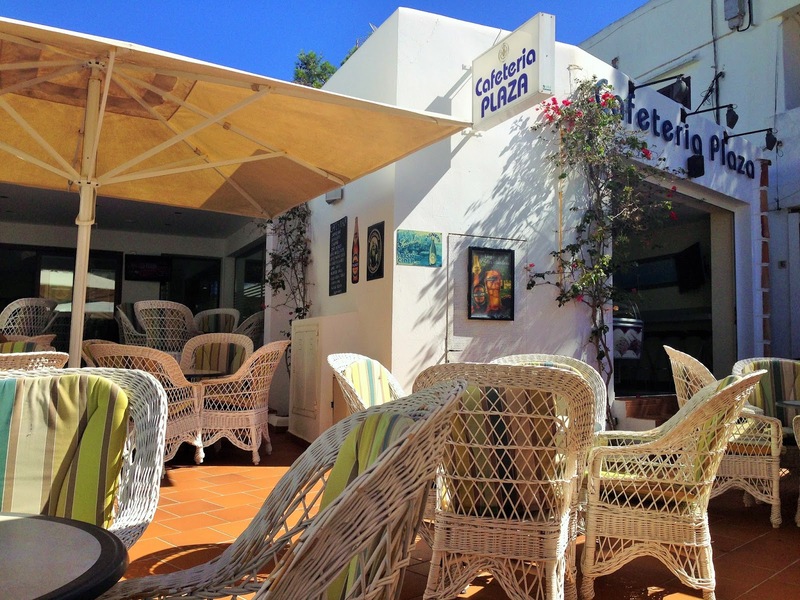 My favourite place to stop for a break - because the morning has been so stressful so far - is Cafeteria Plaza. 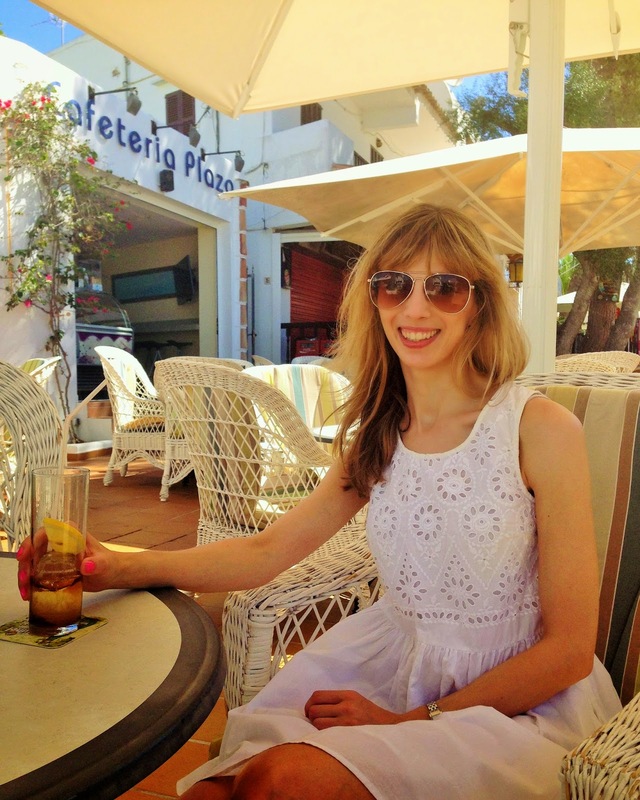 It's a lovely place to sit and watch the world go by, and they make a mean chocolate milkshake, a drink I always crave when on holiday, for some reason. 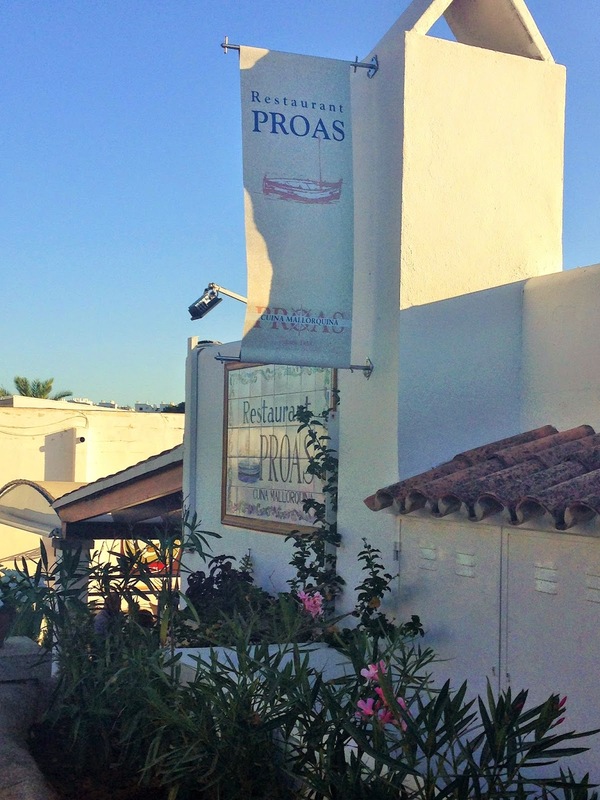 The local cafe con leche (milky coffee) is also really good. I definitely like the town best in the early mornings, when it's quiet and not too crowded with other holiday-makers. 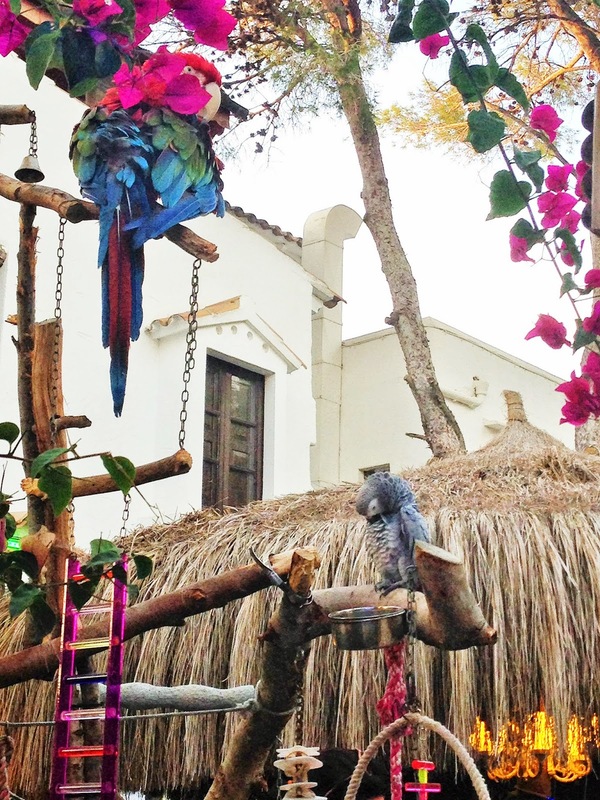 It's also a nice time to look at the parrots who reside at some of the local bars. One thing you guys should know about me is that I bloody love parrots. Totally random, but there you go. I just think they're beautiful and amazing. OK, let's move on from parrots now. If you fancy walking a little further once you've had your coffee, you can find some quiet streets away from town where you can have a really good nose at other people's villas. Many of these streets are lined with beautiful pine trees. 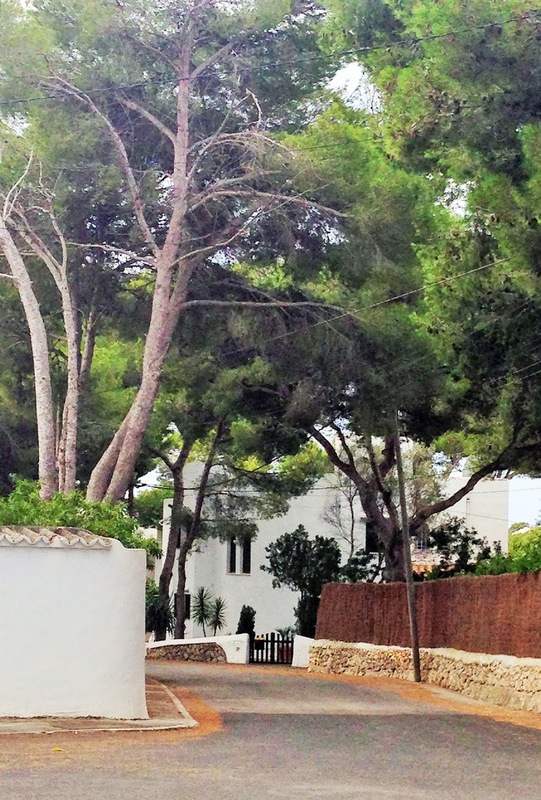 These trees are honestly one of my favourite things about Mallorca. They look and smell amazing, and provide plenty of much needed shade on a blazing hot day. There is a pretty little beach too. Every so often, just to mix it up a little, we turn right out of the villa gates instead. An equally short walk in this direction takes us to the marina. 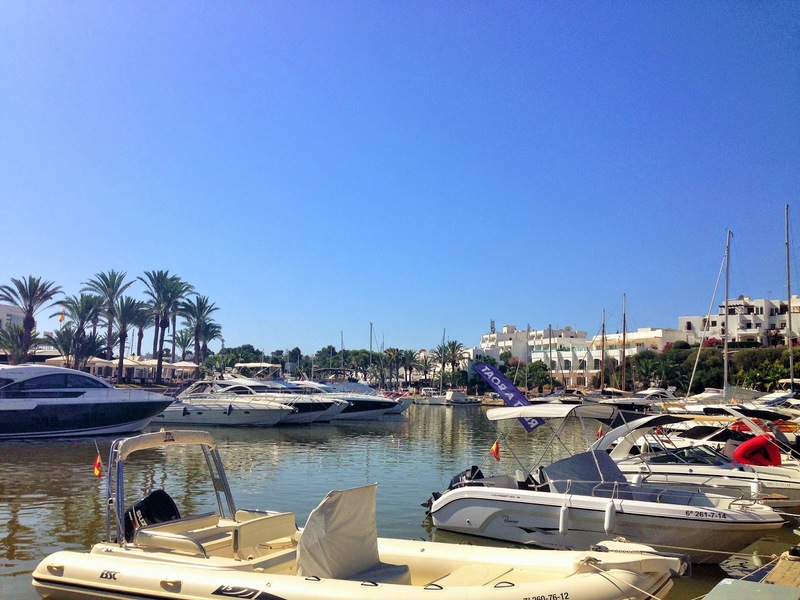 We stroll along, looking at all the yachts and picking our favourites, before stopping for brunch at Porto Cari. 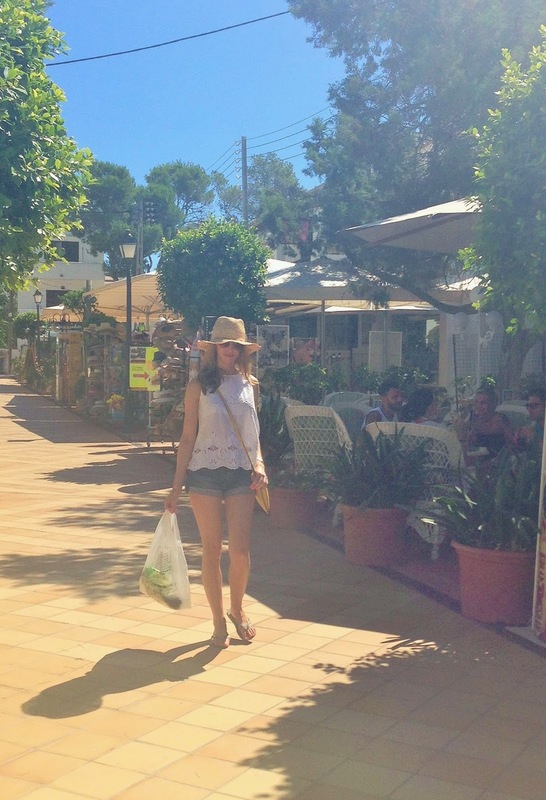 But whichever direction we turn, we always have to buy food for lunch at the villa. Which means that, chances are, a plastic carrier bag is going to find its way into your blog photos. I like to call this shot "keeping it real". 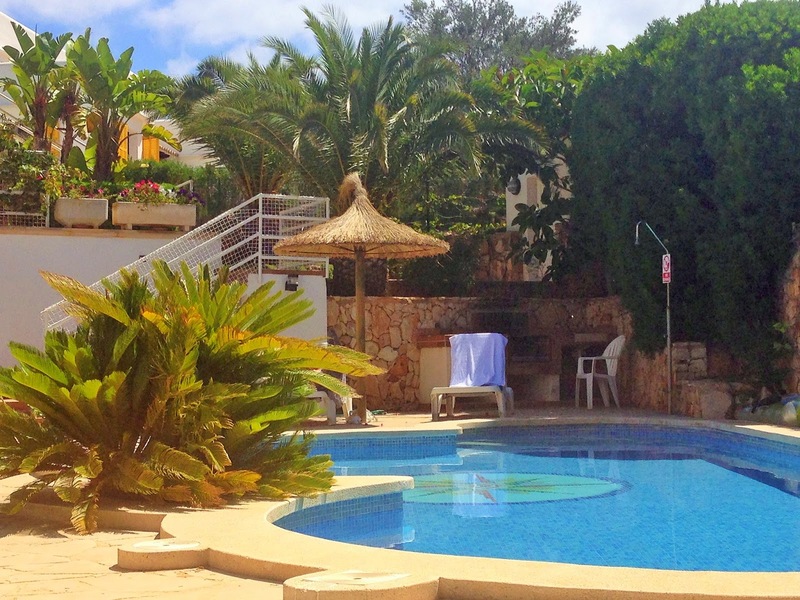 Afternoons are almost always spent back at the villa around the pool, swimming and sunbathing, reading, chatting, and dozing in the shade. And in the evenings, we're faced with the difficult decision of where to eat dinner. Sometimes we barbecue at the villa, but usually we go out. 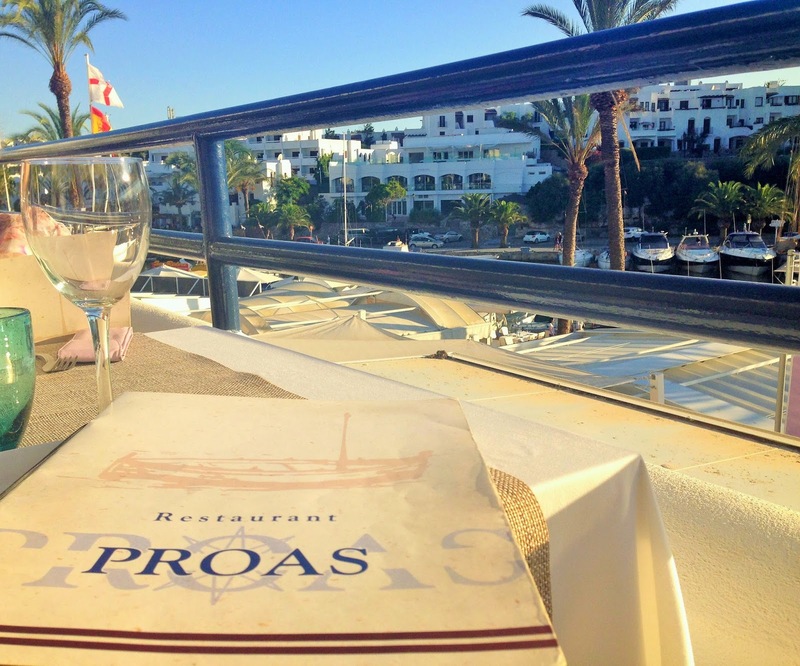 There are many lovely restaurants in Cala d'Or, from cheap and cheerful to super-fancy, but one of my favourites is Proas. 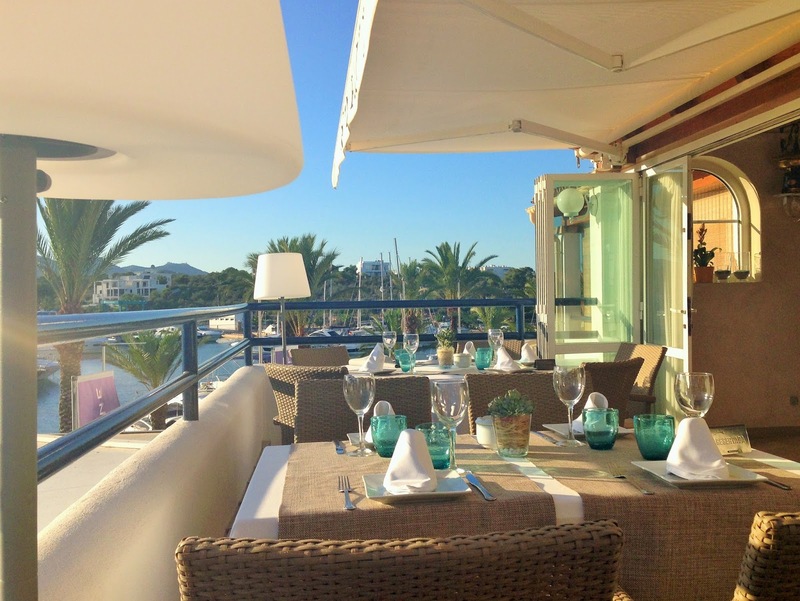 It serves traditional Mallorcan cuisine and overlooks the marina. 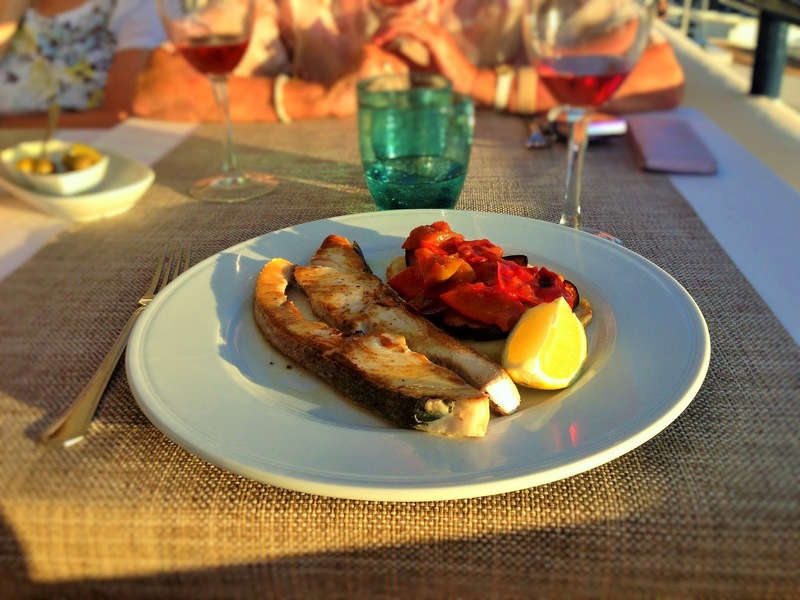 This time, I chose a grilled local fish called serviola, which was served with tumbet - a kind of Mallorcan version of ratatouille made up of fried sliced potatoes, peppers and aubergine. Delicious! 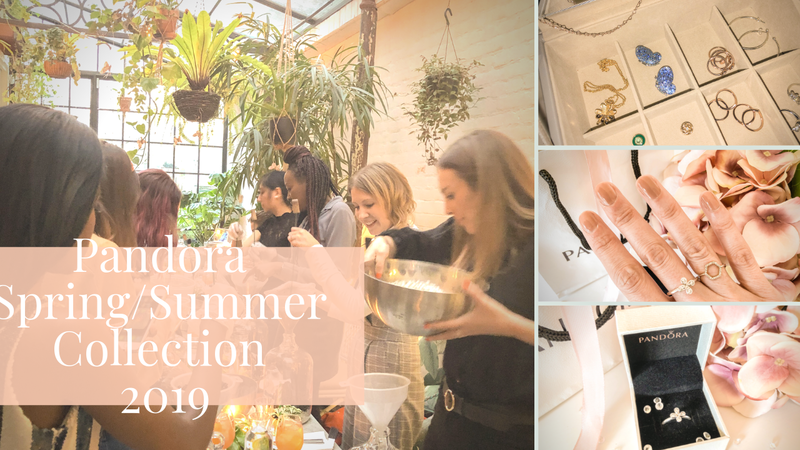 After a long evening filled with good food, good wine and plenty of family chatter, it's back home to the villa, to sleep it all off before waking early the next morning and doing it all again. 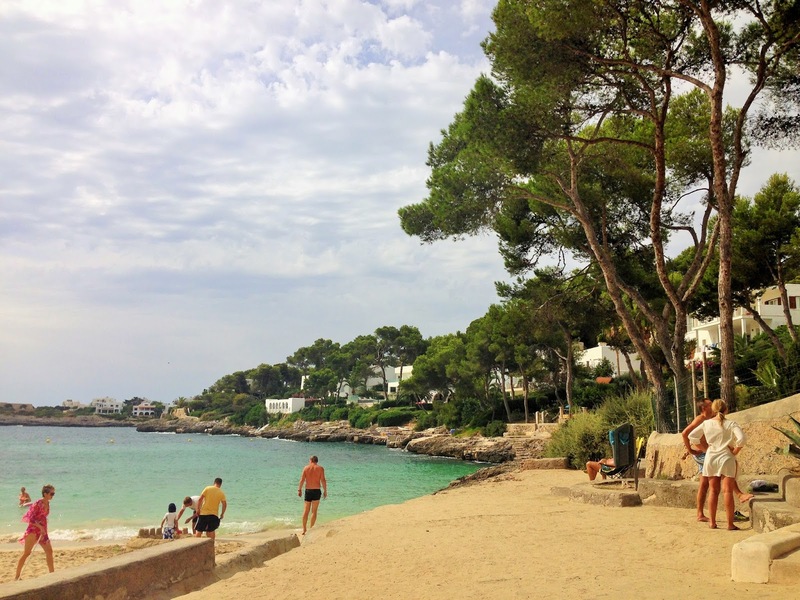 Have you ever been to Cala d'Or? Did you like it? And do you have a favourite holiday spot that you love to go back to? Amazing photos! Those birds are soooo cute. They look like toys! 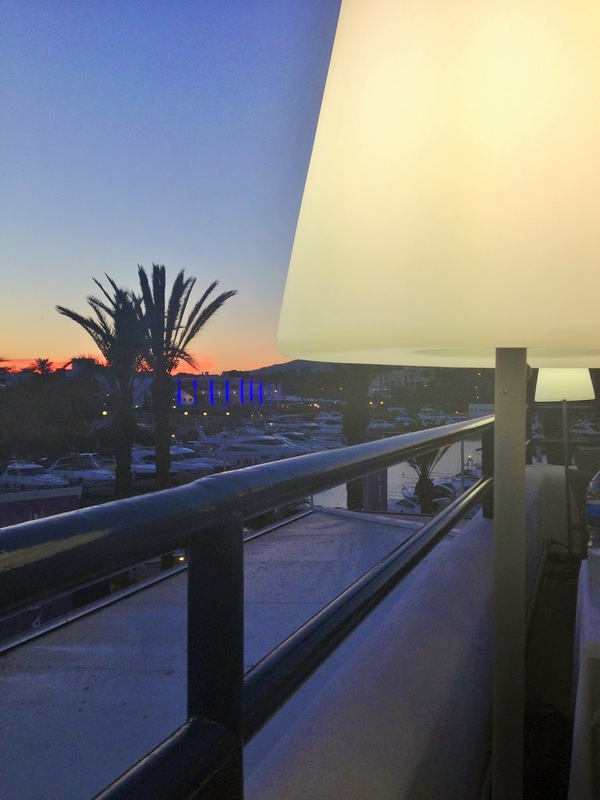 Have an amazing vacation, dear, I see that you're having great time in Mallorca! :) Would you like to follow each other? 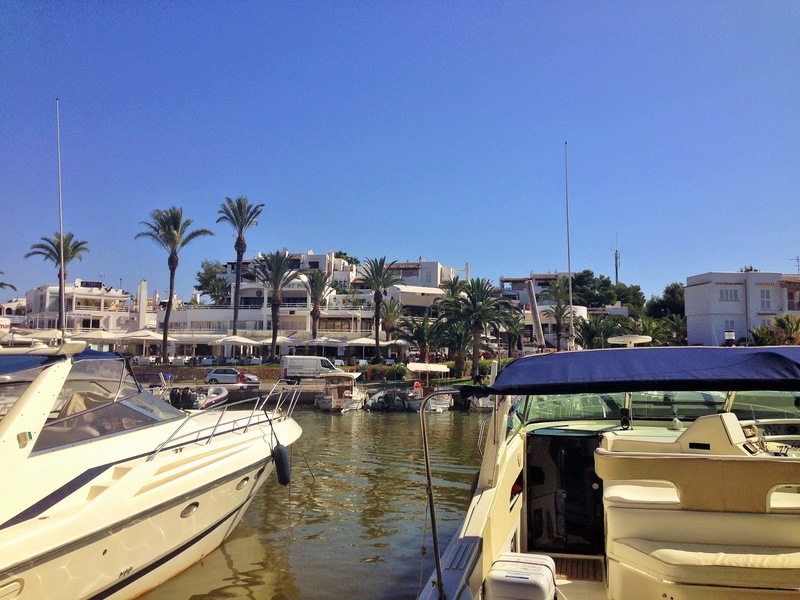 I have been to Cala d'Or twice now and it is just such a beautiful, magical place! The white houses, pink flowers and the beautiful harbour :) It is pure paradise to me..